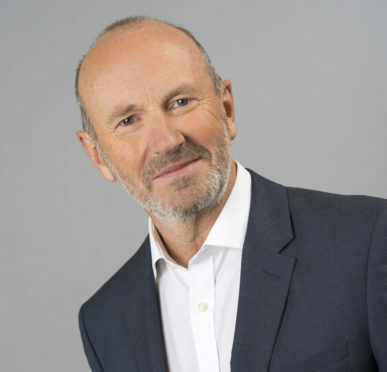 Lots of people will be familiar with Scottish stand-up comedian Fred MacAulay from his years of radio and television broadcasting when he appeared on shows such as Have I Got News For You and Mock the Week. What you go to see him perform live, what you get is a more cheeky, grown-up version of the household favourite, and as always at the start of each show, he advised the audience to buckle in as they might be in for a bumpy ride. This latest show celebrates him swapping the world of accountancy to become a comedian 30 years ago, and during it he took a look back at some of his many, funny experiences. As I’ve seen Fred in action several times, I’d heard many of the tales and anecdotes before – such as the ones about his annual childhood day trip to St Andrews with the family when he was forced to wear knitted swimming trunks; dealing with Glasgow neds and being banned from a Glasgow to Bristol flight because he couldn’t say whether someone had interfered with his suitcase without his knowledge. Some of the funniest moments came when Fred did impersonations of ‘regular’ people such as croaky-voiced pensioner football fans and the time an older member of the audience at a Jools Holland concert, gave a minute-by-minute account of his day to the singer when he’d innocently asked him, how are you? Looking relaxed at this start of this latest tour which takes in several smaller venues across Scotland, Fred touched on numerous topics ranging from Donald Trump’s Highland roots to why he hates the Live Aid song, Do They Know It’s Christmas. Always entertaining and coming across as the sort of chap you’d like to have as a next door neighbour, he managed to squeeze in plenty of laughs looking back at his 30 years of stand-up comedy. For further tour dates visit www.fredmacaulay.com.